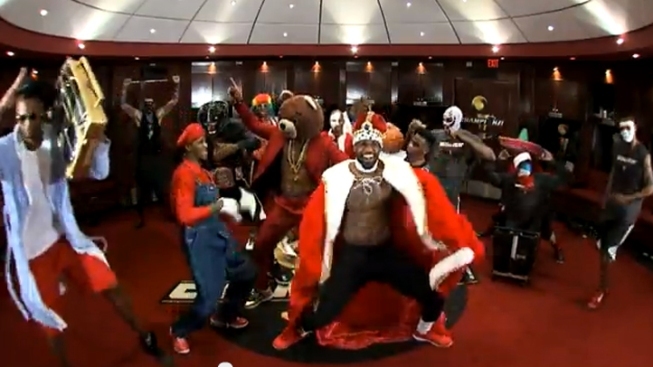 The Miami Heat take on "Harlem Shake." Move over Gangnam Style. "Harlem Shake" just hit one billion views on YouTube and it only took the viral meme 40 days to get there. That's "half the time 'Gangnam Style' took to hit the one billion views," according to research company Visible Measures. And it's about a sixth of the time it took Carly Rae Jepsen's "Call Me Maybe" to get there. From the day the first video was uploaded on Feb. 12 to the day it hit one billion views on March 24, the viral videos were getting an average of 20 million hits a day, the research company said. But researchers credit Its quick rise to the more than 500 "Harlem Shake" videos on YouTube, which Visible Measures aggregated to get to the one billion mark.